Since I no longer work in a corporate setting, last week's event was a chance for me to wear make-up and use my 'bling-bling' (wooot!). Imagine how excited I was to received this kind of invitation so I confirm my attendance right away as it was conveniently located near our place. 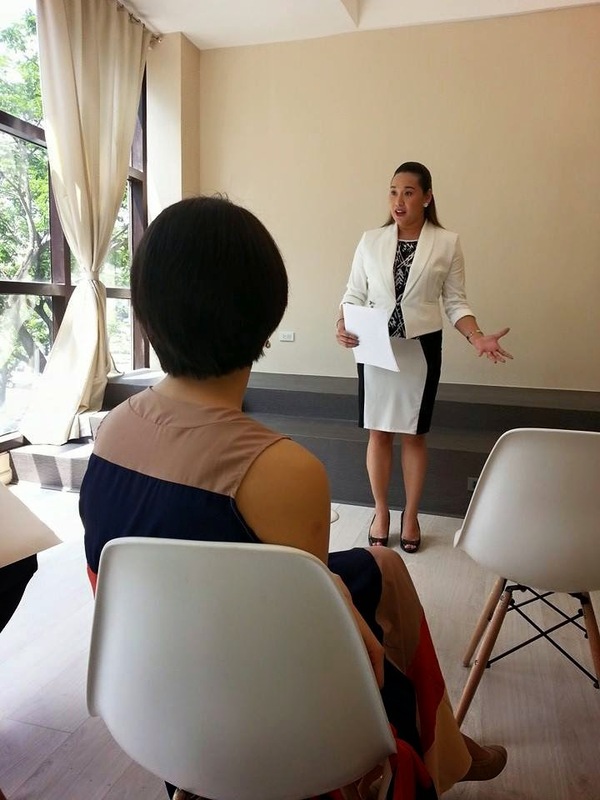 Together with my fellow Mommy Bloggers, La Vie Institute allow us to preview one of their Programs: The Modern Woman's Workshop. 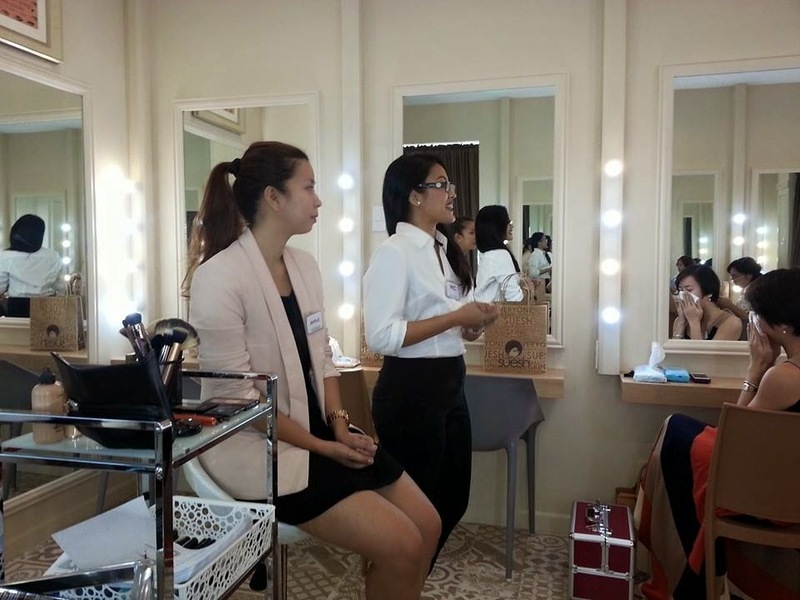 The event was a half-day's worth of fun activity on Advanced Personal Make-Up Workshop and Fine Dining Etiquette. The staff were very accommodating and I was overwhelmed by the warm welcome and professional approached. Ms. Monica, the Institute's Program Director, shares the story on how she originally plan to put up a preschool, but instead came up focusing with Personal and Professional growth workshops as a way to intensively work on student's character development. It is undeniably true that due to the rigors of academic preparation, character development is forced to take a lower priority in most classrooms. With the ever-increasing demands of today's society to be competitive and become 'number one', growing up in this world is now taking a serious toll than ever before. Children are exposed to increased likelihood of being a victim to bullying or becoming a bully themselves because of this generation's desensitization to violence. Parents are worried about being able to help foster their child when they have grown up in a totally different social landscape. Young adults are overwhelmed by the big decisions they face as they transition into the real world and feel unprepared when they face the stiff competition in the job market. More and more professionals are disillusioned by the rat race and this cycle ripples into growing numbers of discontented, unhappy and fearful individuals. 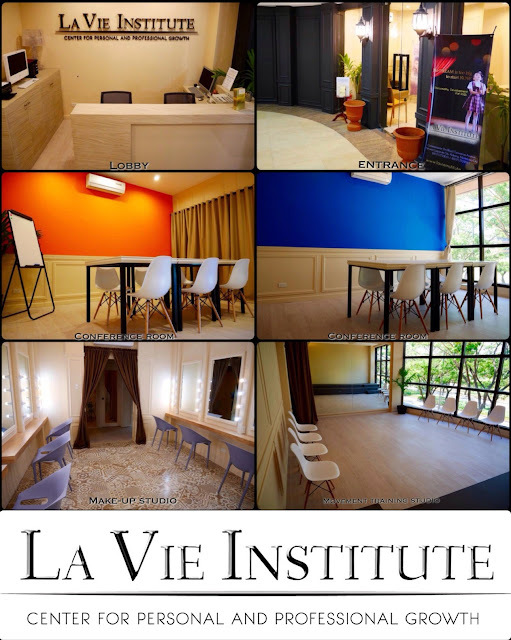 It is to address these pressing needs that La Vie Institute was created. The name, directly translated from French to English, means "The Life Institute". 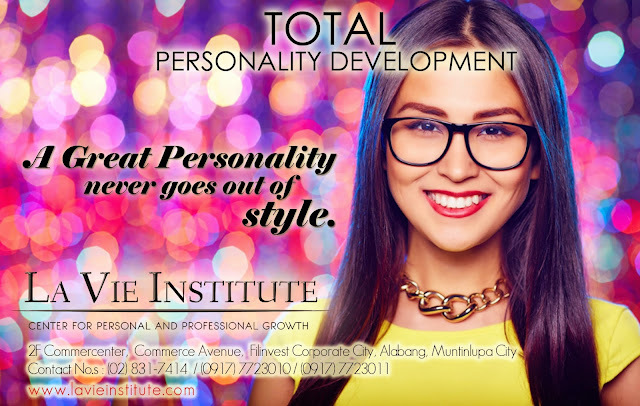 The Programs are designed to bring the fruits of TOTAL Personality Development training to let you live the life you imagine for yourself and for your loved ones. I strongly agree that providing a strong foundation is the key of making a successful individuals. As a mother, it is a tough job to set Character Education and Social Skills at today's Modern Technology. It is not easy to teach Moral skills at today's world, with the emerging of social networks and trends, even some computer games glorify stealing, fighting, lying, and other forms of unacceptable behavior. So there, we have to innovate and redesign our way of teaching to handle our child's formative years. With this, I totally agree with how this institute was designed to cater the need of working on Character Development and reinventing one's self regardless of age. 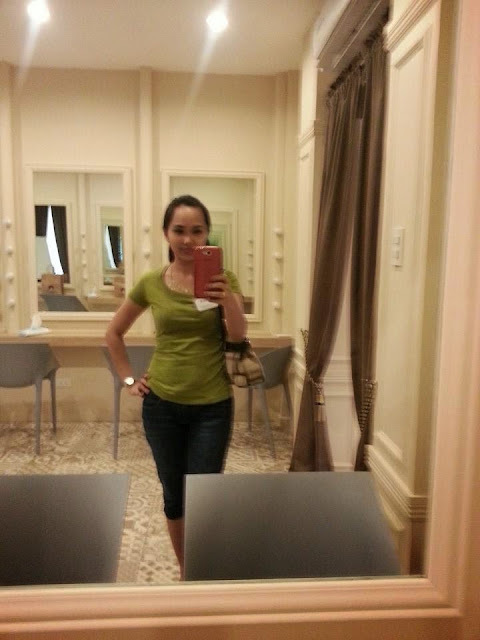 As I took part to experienced a bite of "The Modern Woman's Workshop" at a World Class Facility at La Vie, I came out looking good and feeling good about myself. 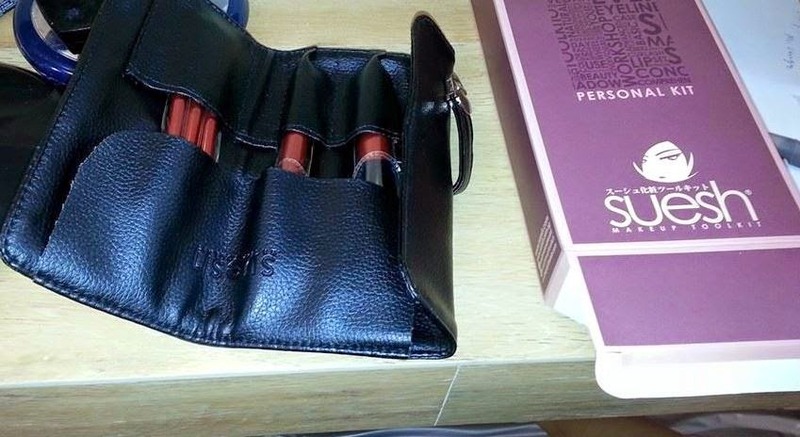 The make-up Studio. Need I say more on how mood lifting the place was? We're all too busy highlighting our assets! "Tuwang-tuwa kami sa nose contouring, obvious ba?" 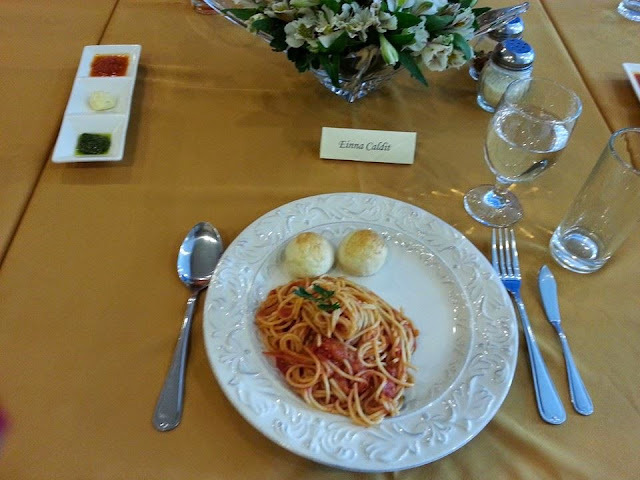 Moving on with second part, The Fine Dining Etiquette with Ms. Vangie, our mentor. We were introduced to Menu Components and Terminologies. Do's and don't were discussed on Dining Etiquette and Table Manners. A good reminder with what to do with the napkin: "The napkin is used for dabbing the mouth - you should never wipe, but dab!" 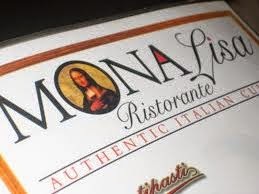 Italian Pasta was served courtesy of Mona Lisa Ristorante, as we practice not to cut, but to use a spoon to help twirl the pasta. I was doing good at first... uhmn, well, I really tried. After the activities, we had a small chat discussing our personal take with Personality Development issues from our past and especially with raising our kids. It was such a great time having the opportunity to experience preview lessons from La Vie. Their Programs was uniquely design to cultivate the inner power of a person to shine the brightest. 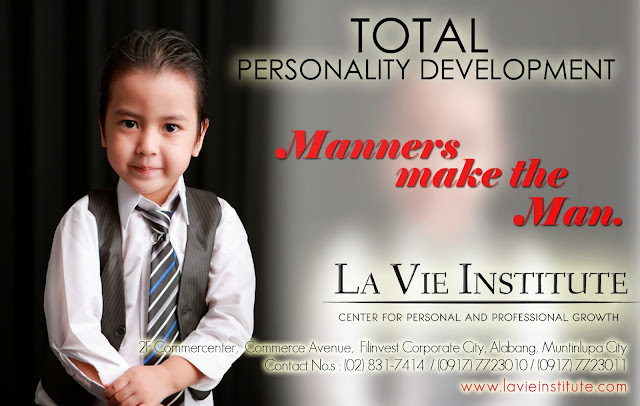 They offer a more holistic approach to personality development with their unique classes. 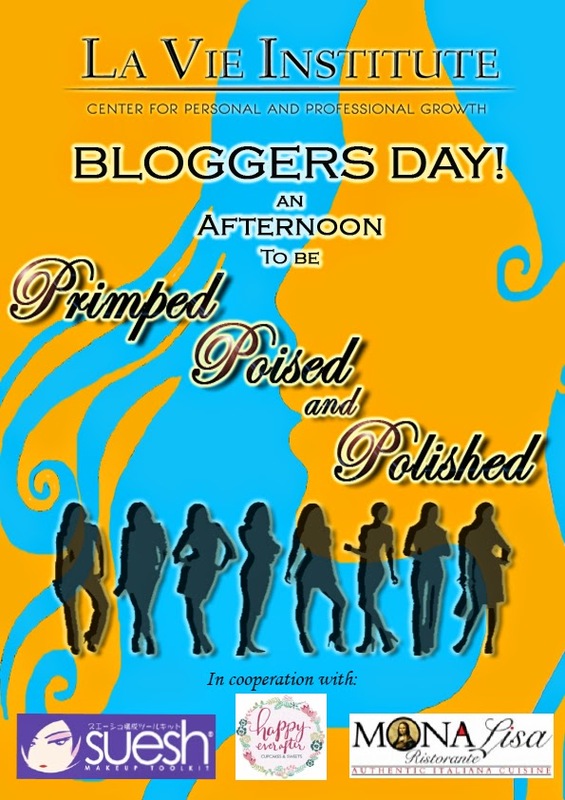 I only had an afternoon with them but I felt inspired already of living a life of purpose and fulfillment. Talked about positivity! 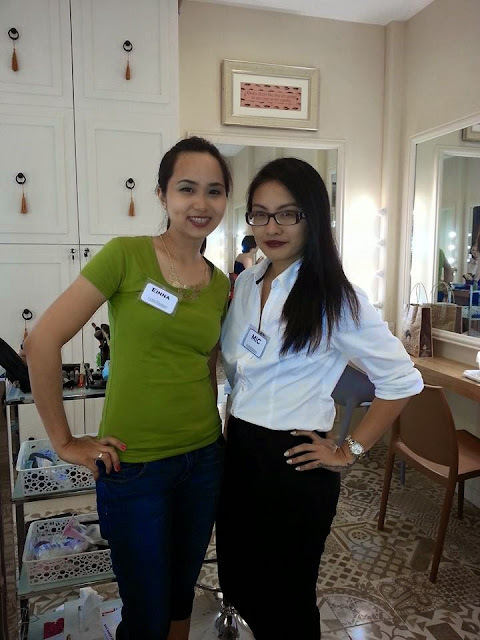 Thanks La Vie Institute, for a Primped, Poised & Polished Afternoon! 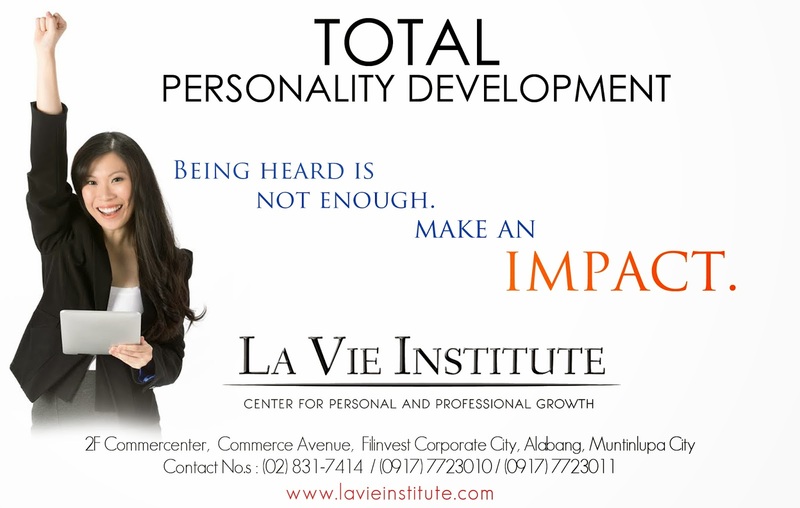 La Vie Institute is located at Unit 202 2nd Floor, Building 1 Commerce Center Alabang, Commerce Avenue, Filinvest Corporate City, Alabang Muntinlupa City. You can contact them at 831-7414 / Cellphone #s (0917) 772-3010 to 11 for a FREE Assessment.